Cotton Tufted Throw Blanket - 50x60? CLOSEOUTS. 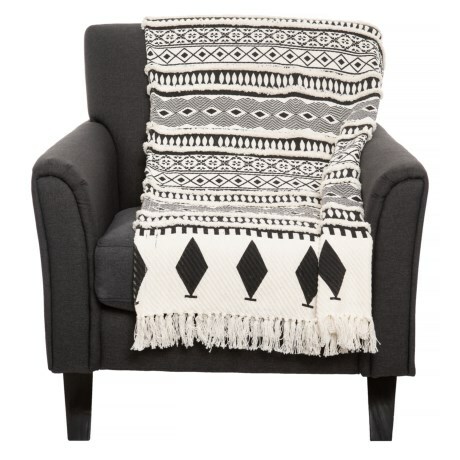 A tribal-inspired design, fringed ends and soft-woven fabric make this AM Home Textiles cotton tufted throw blanket a bold addition to your living space. Available Colors: BLACK/WHITE.